What images come to mind when you think of Tranquility? Restful, calm, quiet, serenity? The place where you go when you want to be quiet and shut the door on the outside clatter that invades your space. You look for some peaceful sanctuary. I have this for you~ light a candle and draw a warm bath. Ease your body into the water and relax. 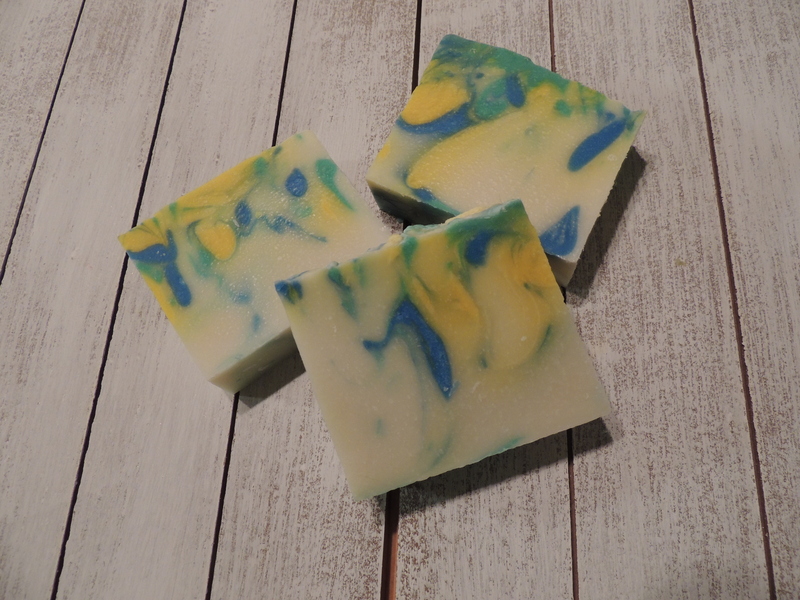 A wonderful aromatic blend with Lavender as the center. Marjoram, and Ylang Ylang add to a calming and peaceful mixture to help relax your spirit. Slow down your breath and come back to center. Ingredients: Saponified oils & butters of Olive, Coconut, Cocoa & Shea Butters, Avocado Oil, Lavender, Marjoram, Palmarosa, Ylang Ylang & Bergamot Essential Oils and Micas for Color. Meadowfoam added for extra moisturizing.